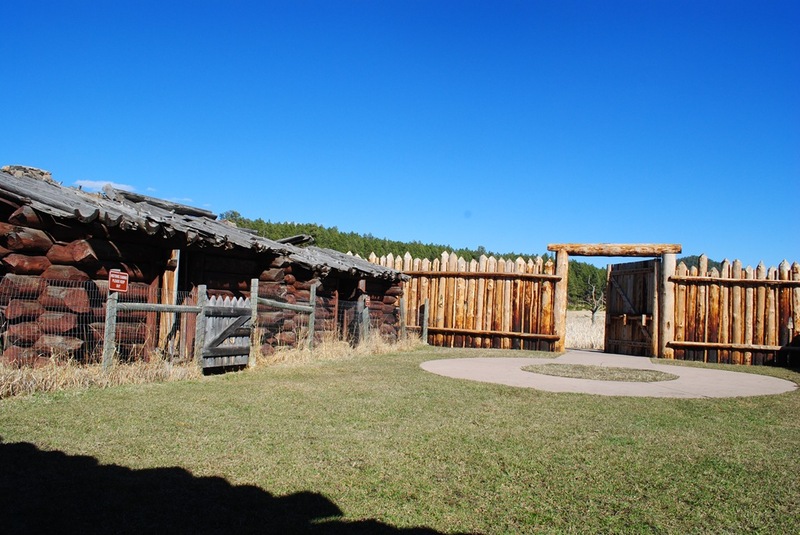 The Gordon Stockade is located just of Hwy 14A right before you reach the west entrance of Custer State Park. The original stockade was built by the Gordon Party in December of 1874. Twenty-eight people left Sioux City, Iowa in October of 1874 headed to the Black Hills in search of gold. They reached the Black Hills in December. Being in the Black Hills at that time was illegal, as it violated the Fort Laramie Treaty. They spent the first three weeks building the stockade for protection. The stockade was discovered by the US Cavalry in 1875 and the party members were taken to Fort Laramie. They were not charged with any crimes and many of them ended up back in the Black Hills searching for gold. The Gordon Stock is part of Custer State Park and maintained by the SD Game, Fish and Parks. I found it interesting that this is actually the third replica of the stockade. 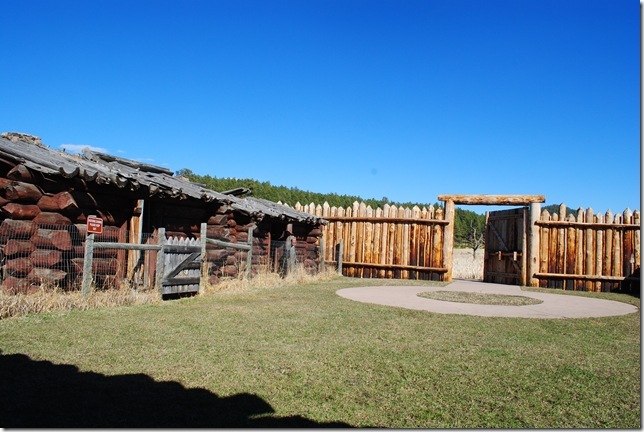 The first was built in 1925 by Custer citizens, then second in 1941 by the Civilian Conservation Corpsmen. And now the current stockade… visit the SD GF&P website for more information.